K-INBRE Star-Trainee Award to Blaze Heckert, congratulations!!! 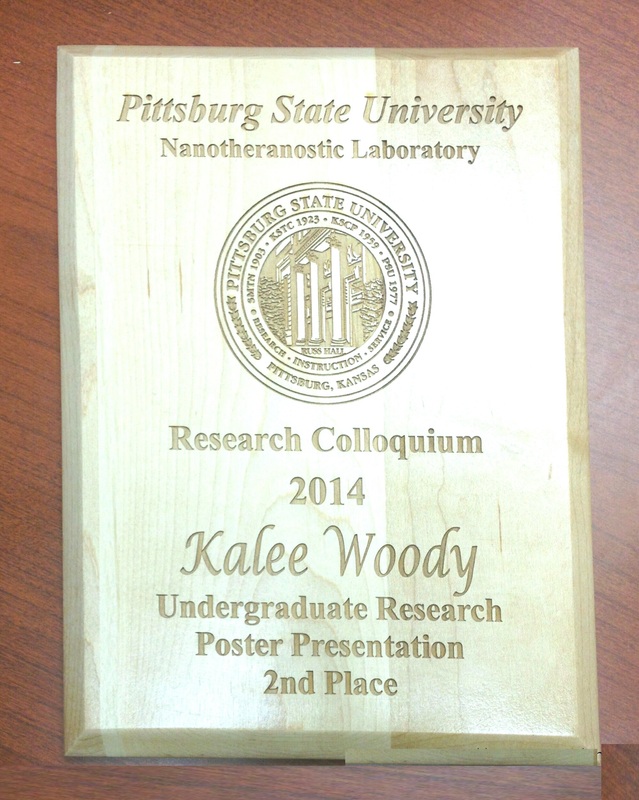 PSU UG Best Oral Presentation (1st place) Award to Kalee Woody, congratulations!!! William & Mary Fern Souder Scholarship to Dagen Worthington, congratulations!!! 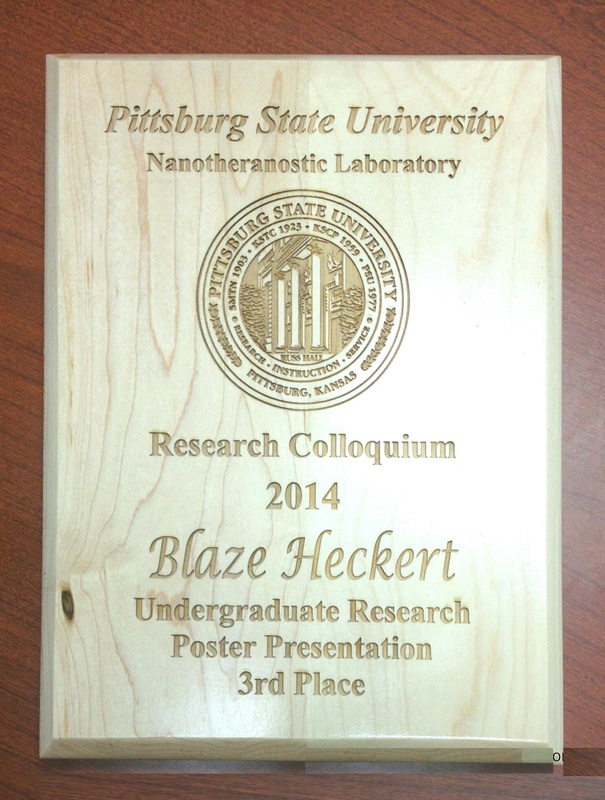 PSU UG Best Poster (3rd place) Award to Blaze Heckert, congratulations!!! 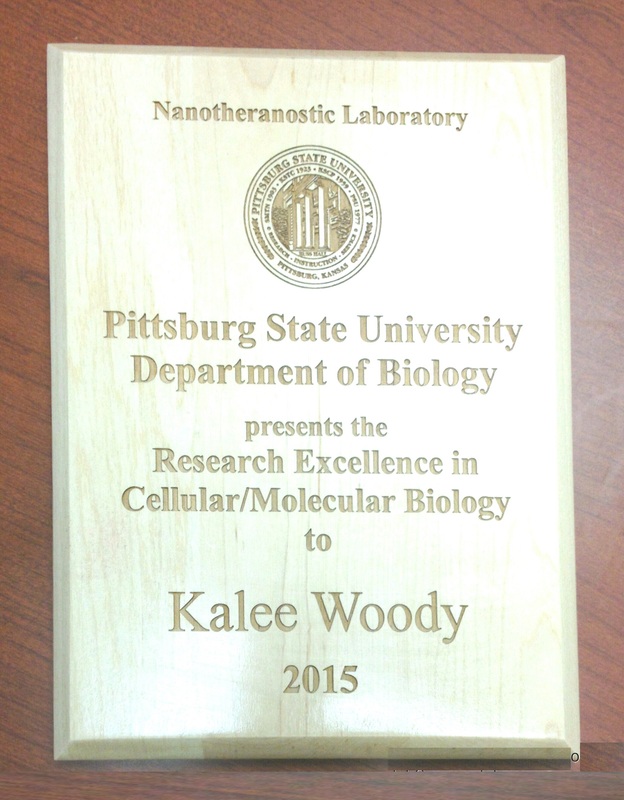 K-INBRE Semester Scholar Award to Kalee Woody, congratulations!!! PSU Chemistry Best UG Research Award to Blaze Heckert, congratulations!!! PSU Chemistry Graduate Teaching Award to Nelson Elbers, congratulations!!! PSU UG Best Poster (2nd place) Award to Kalee Woody, congratulations!!! K-INBRE Semester Scholar Award to Deaven Thompson, congratulations!!! 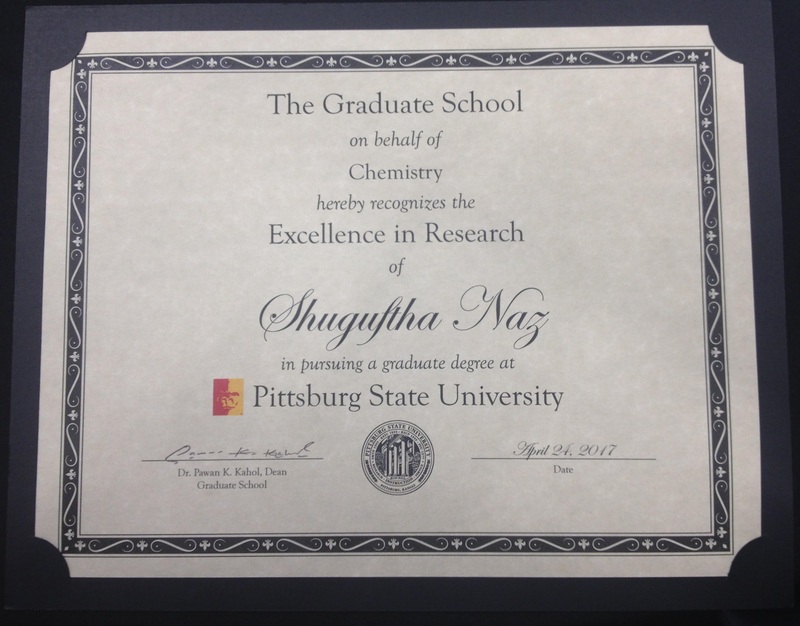 Travel Award to Shuguftha Naz, Tyler Shelby, Pittsburg State University, congratulations!!! Best Poster Presentation Award to Shuguftha Naz, ACS Pentasectional Conference in Oklahoma, congratulations!!! 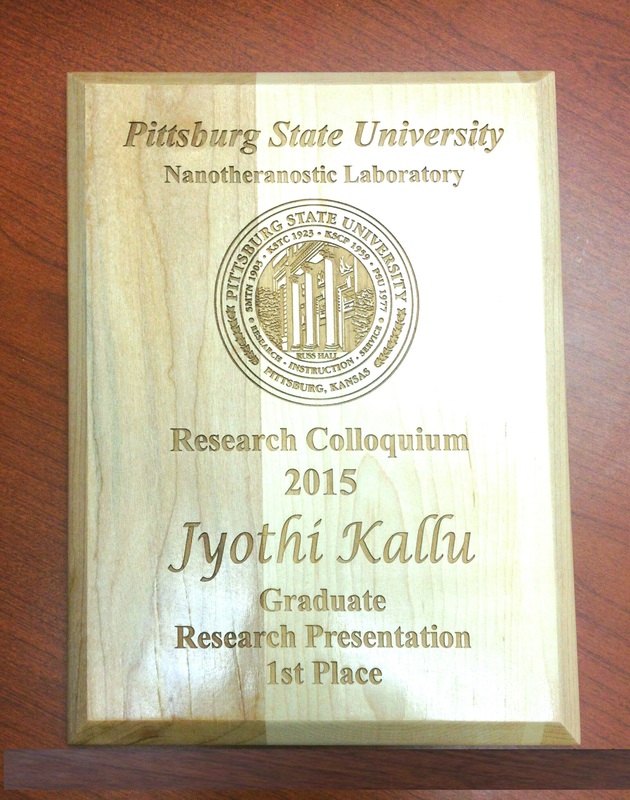 Best Oral Presentation Award to Jyothi Kallu, PSU Research Colloquium, congratulations!!! 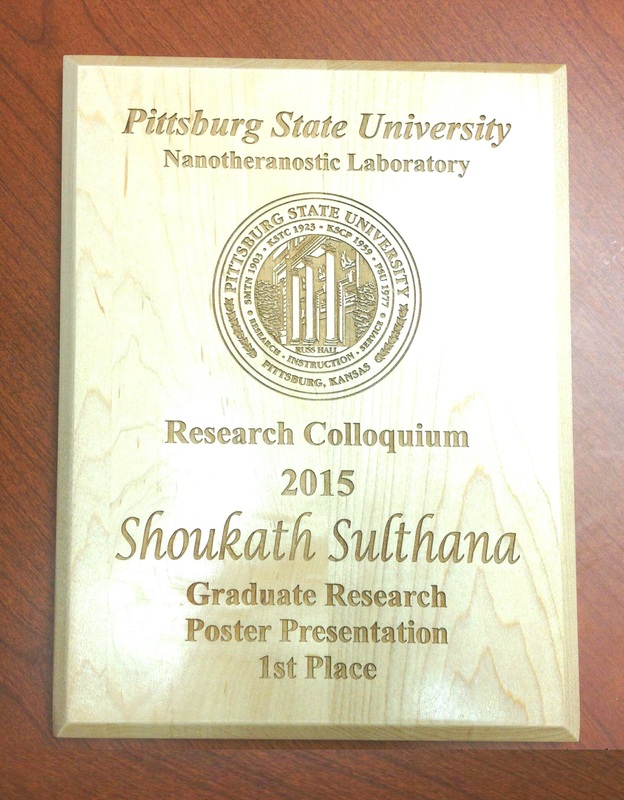 Best Poster Presentation Award to Shoukath Sulthana, PSU Research Colloquium, congratulations!!! Best Poster Presentation Award to Jyothi Kallu, PSU Research Colloquium, congratulations!!! Best Poster Presentation Award to Kalee Woody, PSU Research Colloquium, congratulations!!! Best Poster Presentation Award to Tyler Shelby, PSU Research Colloquium, congratulations!!! Best TA Award to Shoukath Sulthana by Chemistry, congratulations!!! Best GA Award to Jyothi Kallu by Polymer Chemistry, congratulations!!! Best Thesis Award to Blaze Heckert by Polymer Chemistry, congratulations!!! 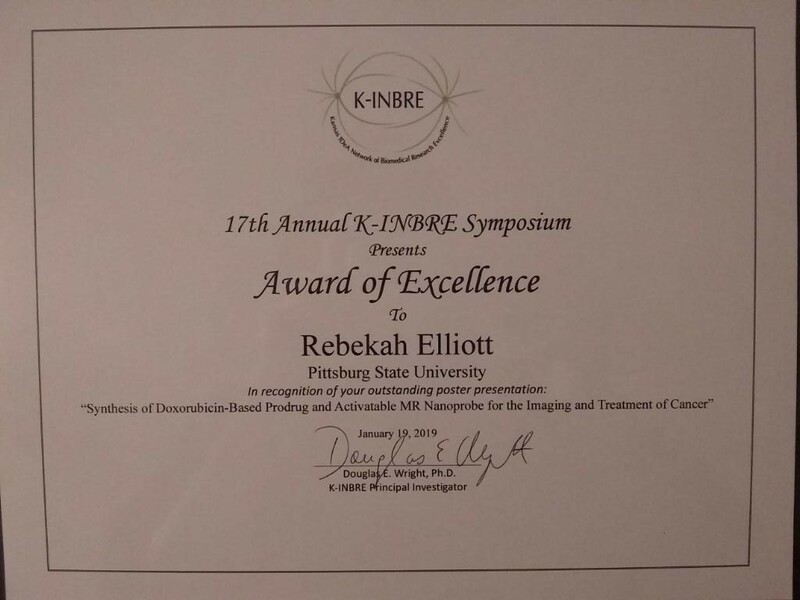 K-INBRE Star-Trainee Award to Laci Hadorn by K-INBRE, NIH, congratulations!!! 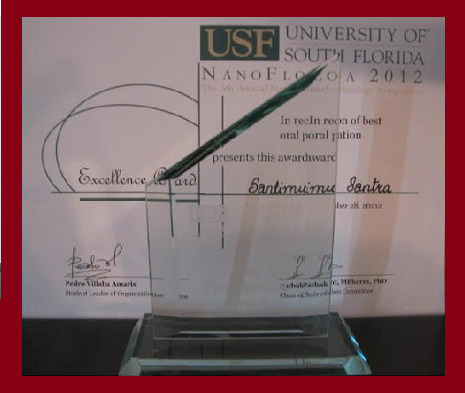 K-INBRE ScholarAward to Sasha by K-INBRE, NIH, congratulations!!! 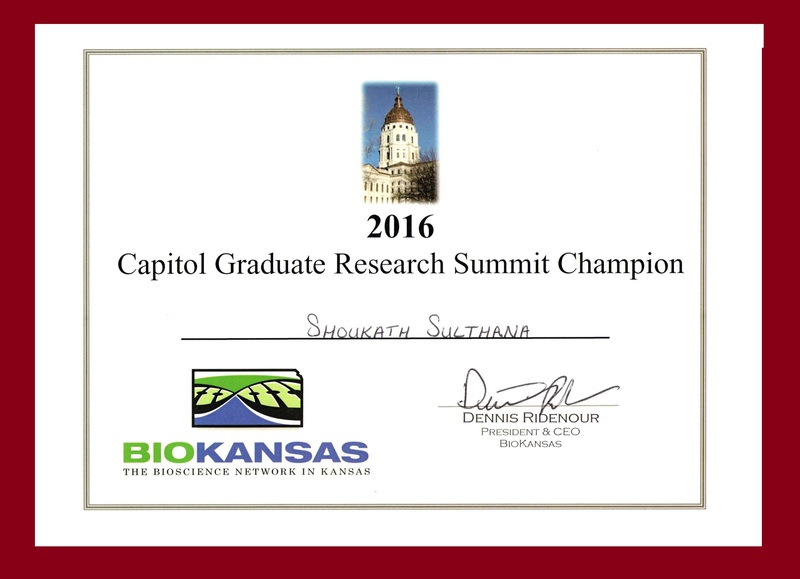 Best BIO-KANSAS Graduate Poster Award to Shoukath Sulthana, Capitol Research Summit, Topeka, congratulations!!! K-INBRE Best Poster Award to Tyler Shelby, congratulations!!! 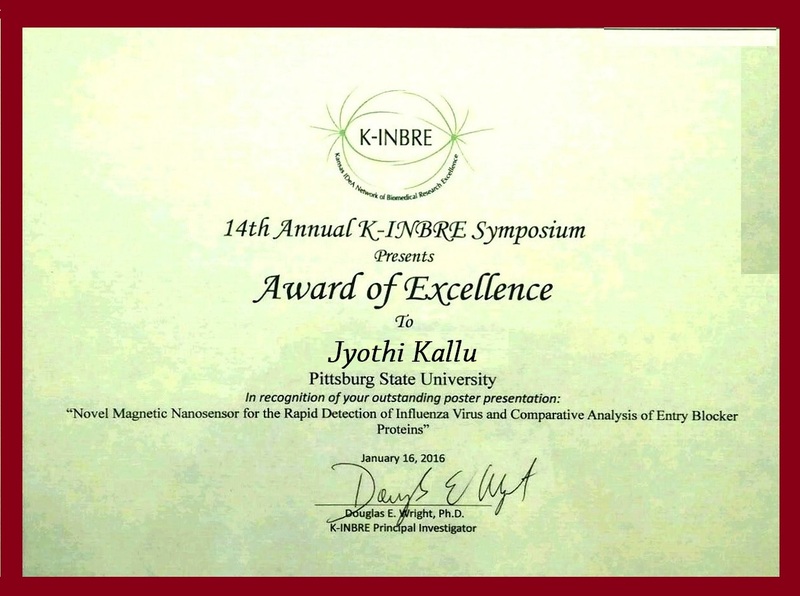 K-INBRE Best Oral Presentation recognition to Jyothi Kallu, congratulations!!! 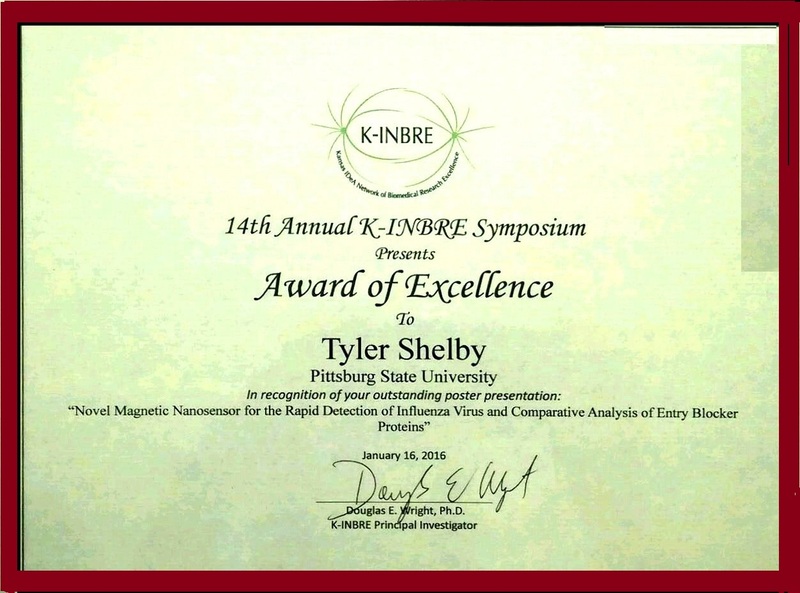 K-INBRE Star Trainee Award to Tyler Shelby, Congratulations!!! K-INBRE Campus Scholar Award to Jessica Jewell, congratulations!!! PSU Best UG Poster Presentation Award to Blaze Heckert, congratulations!!! 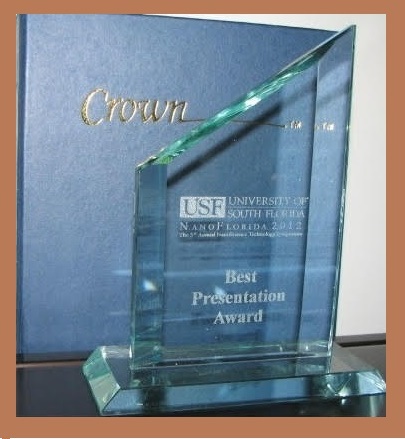 PSU Best Graduate Oral Presentation Award to Jyothi Kallu, congratulations!!! 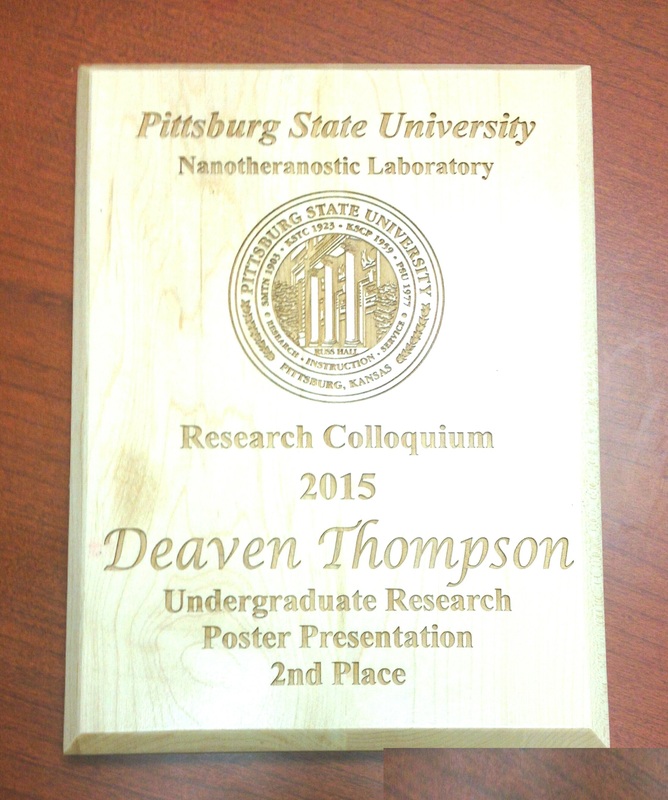 PSU Best UG Poster Award to Deaven Thompson, congratulations!!! PSU Best Graduate Poster Award to Shoukath Sulthana, congratulations!!! Best UG Poster Award to Kalee Woody, Capitol Research Summit, Topeka, congratulations!!! Best BIO-KANSAS Poster Award to Jyothi Kallu, Capitol Research Summit, Topeka, congratulations!!! Best Graduate Poster Award to Jyothi Kallu, Capitol Research Summit, Topeka, congratulations!!! K-INBRE Best Poster Award to Kalee Woody, congratulations!!! 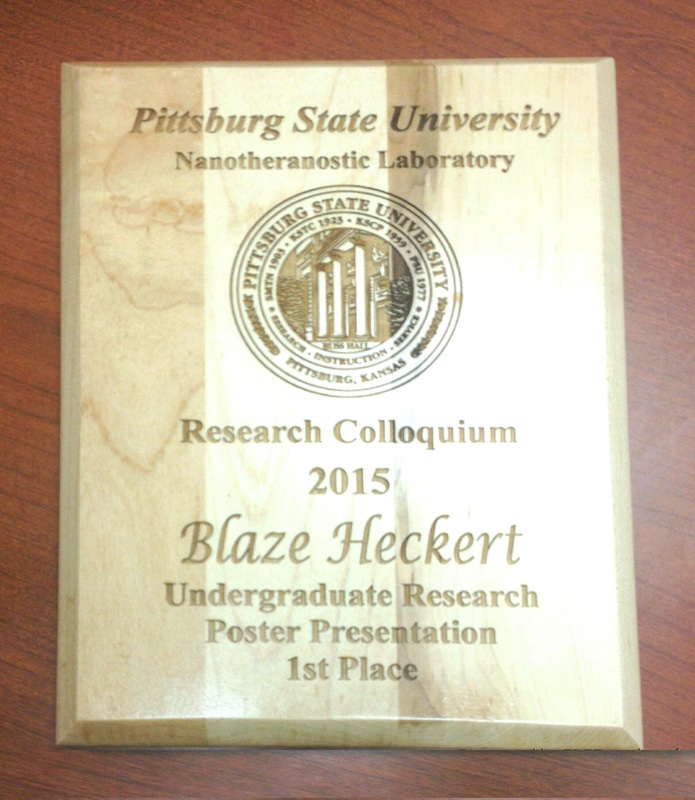 K-INBRE Best Poster Award to Blaze Heckert, congratulations!!! Both Blaze and Kalee received recognition for the K-INBRE Awards, congratulations!!! 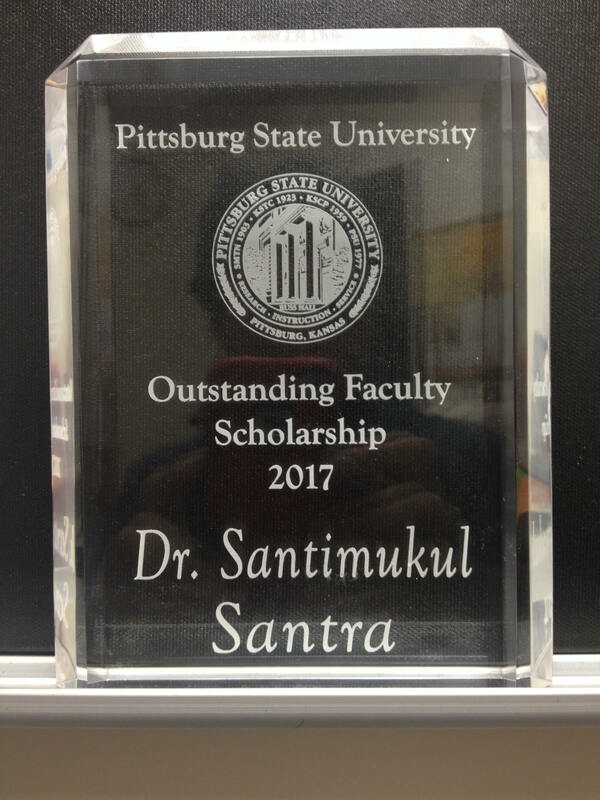 Students win top awards for research”- Pittsburg State University webpage. Campus K-INBRE scholar Award to Blaze Heckert, congratulations!!! K-INBRE Semester ScholarAward to Thai Butcher, congratulations!! K-INBRE Star-Trainee Award to Vedant Jain, congratulations!! Best BIO-KANSAS Graduate Poster Award to Zachary Shaw, Capitol Research Summit, Topeka, congratulations!! K-INBRE Best Poster Presentation Award to Vedant Jain, congratulations!! K-INBRE Best Poster Presentation Award to Rebekah Elliott, congratulations!!. K-INBRE Star-Trainee Award Denise Muchangi from K-INBRE, NIH, congratulations!! Best BIO-KANSAS Graduate Poster Award to Ren Bean, Capitol Research Summit, Topeka, congratulations!!. Best Poster Presentation Award to Sneha Ramanujam, PSU Research Colloquium, congratulations!! Polymer chemistry graduate researchAward to Ren Beans from PSU, congratulations!!. Polymer chemistry graduate teaching Award to Zachary Shaw from PSU congratulations!! K-INBRE Semester Scholar Award to Vedant Jain from K-INBRE, NIH, congratulations!!. Missouri Valley-Parental Drug Association Award to Ren Bean, Capitol Research Summit, Topeka, congratulations!!. Best Biochemistry student Award to Oleksandra Pashchenko from Chemistry, PSU, congratulations!! 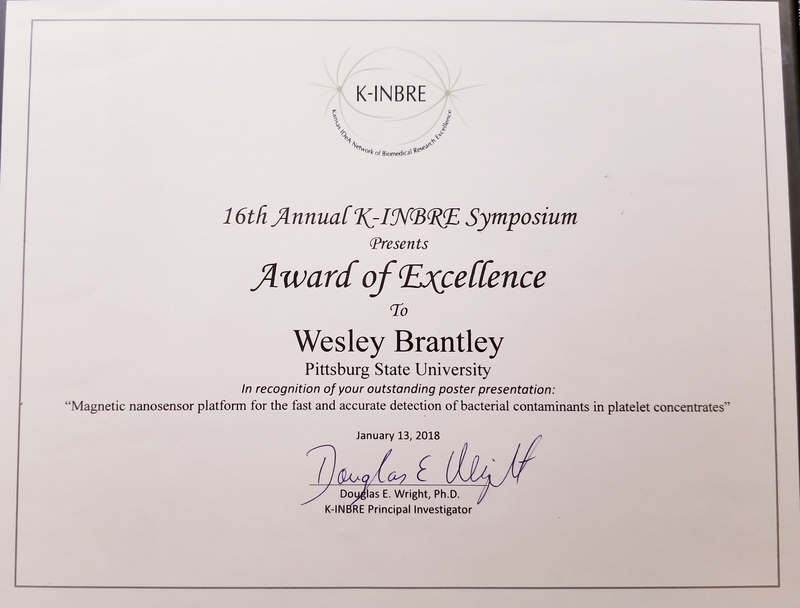 K-INBRE Best Poster PresentationK-INBRE Best Poster Presentation Award to Wesley Brantley from K-INBRE, congratulations!!. 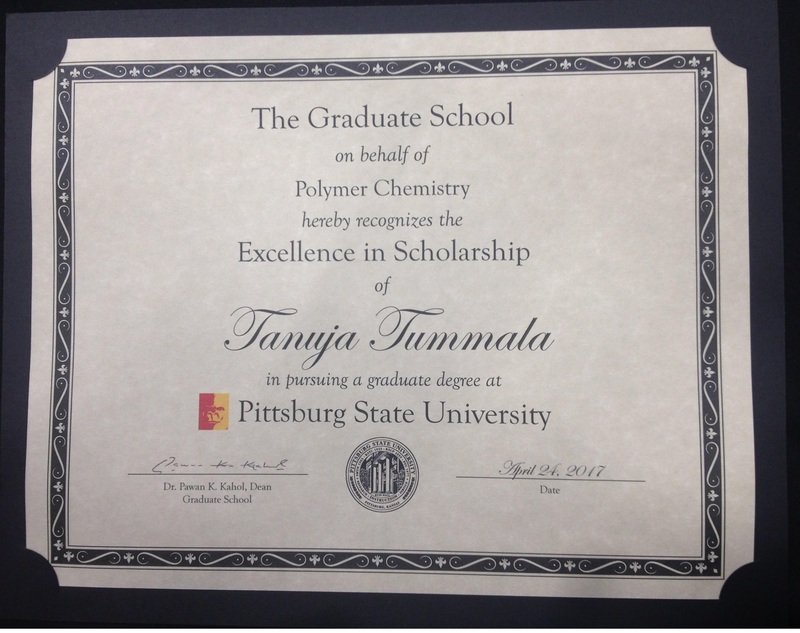 Polymer chemistry graduate scholarship Award to Tanuja Tummala from PSU, congratulations!! K-INBRE Best Poster Presentation Award to Ren Bean, congratulations!!. Chemistry graduate scholarship Award to Bayan Dous, congratulations!!. PSU Best Graduate Poster Award to Ren Bean, Capitol Research Summit, Topeka, congratulations!!. University Scholar Award to Quentin Austin from K-INBRE, NIH, congratulations!! K-INBRE Star-Trainee Award to Sasha Pashchenko from K-INBRE, NIH, congratulations!! K-INBRE Semester Scholar Award to Lok Shrestha from K-INBRE, NIH, congratulations!!! Excellence in Research Award to Shuguftha Naz from Department of Chemistry, PSU, congratulations!! 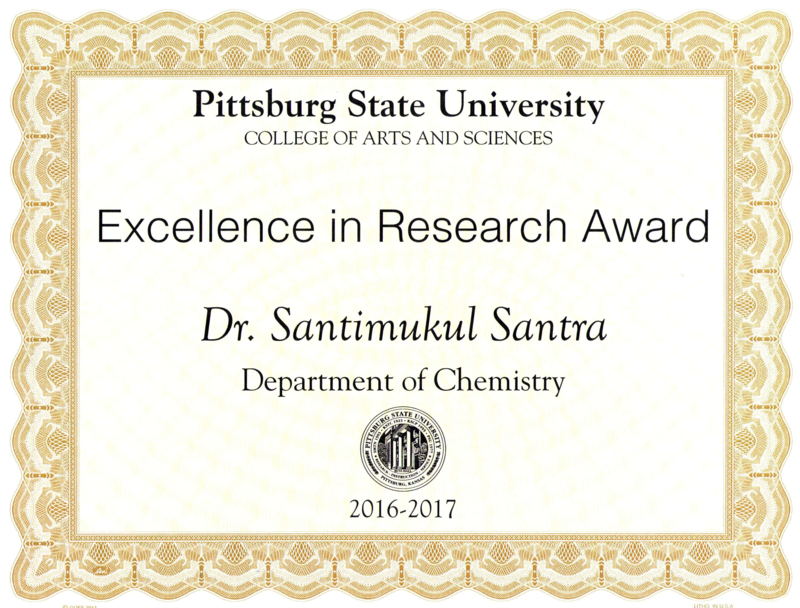 Excellence in Scholarship Award to Tanuja Tummala from Department of Chemistry, PSU, congratulations!! 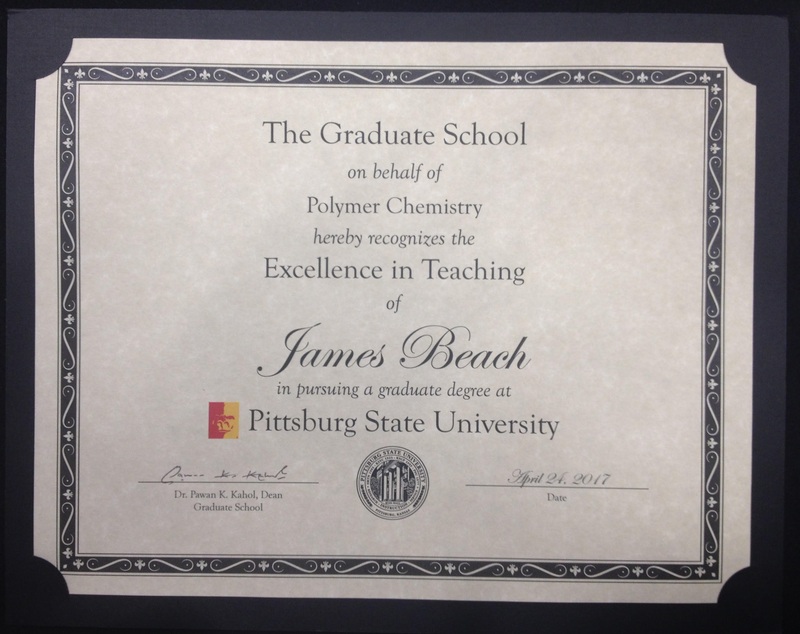 Excellence in Teaching Award to James Beach from Department of Chemistry, PSU, congratulations!! Excellence in Professional Service Award to Elaf Alattas from Department of Chemistry, PSU, congratulations!! 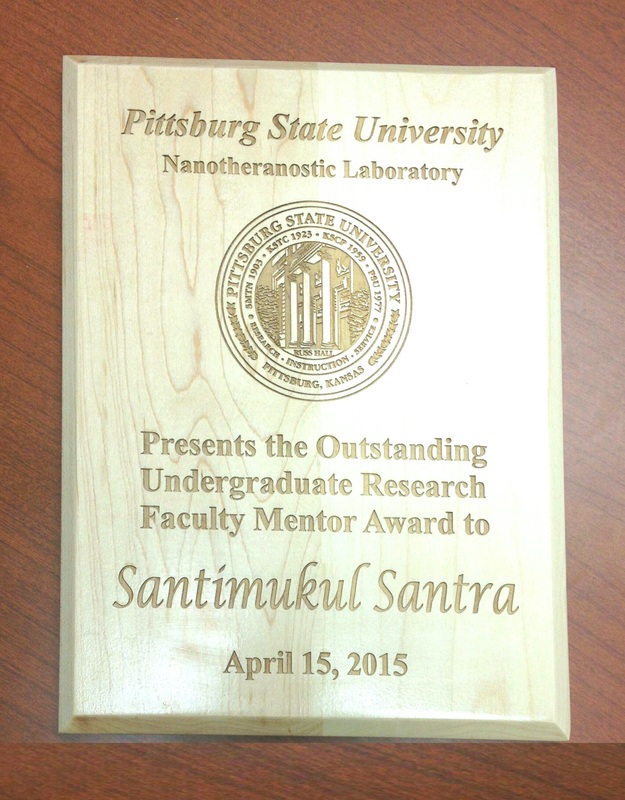 Undergraduate Research Award to Sasha Pashchenko from Department of Chemistry, PSU, congratulations!! Undergraduate Research Award to Laci Hadorn from Department of Chemistry, PSU, congratulations! !